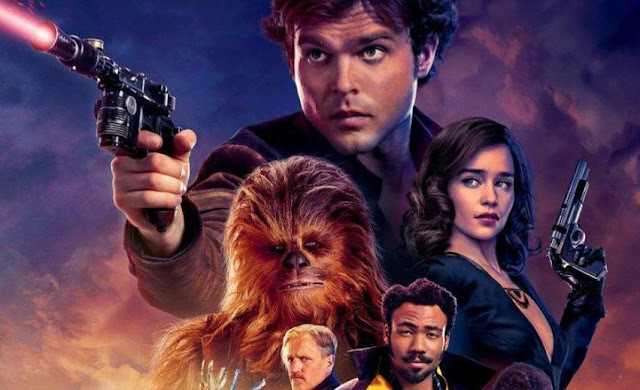 Based on the reactions and reviews we've seen so far, Solo: A Star Wars Story will be a very fun Star Wars movie, and maybe even a truly excellent one. But no matter what, it will go down as one of the most infamous movie productions in history, with an offbeat and often frustrating marketing campaign to follow it. Before it hits theaters in a few days, we're taking a look back at the most awkward and just plain weird moments from Solo's rocky path to theaters, ranging from facepalm-worthy missteps to at least one actual legal offense. Solo announced the start of its principal photography with a picture of its main cast with the then-directors. 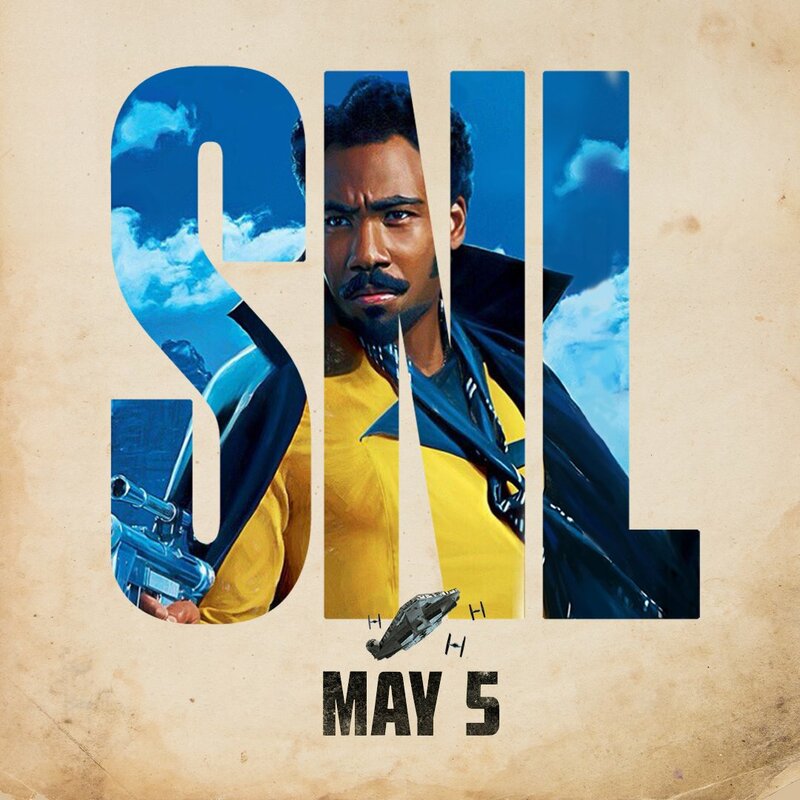 Thandie Newton apparently wasn't available at the moment, and Michael Kenneth Williams hadn't been officially cast yet, so it ended up looking like a weirdly-uncomfortable Donald Glover in a room full of (predominantly young) white people. And the Internet took notice. It didn't help that Williams later had to drop out of the film due to scheduling conflicts and be replaced by Paul Bettany, leaving Glover and Newton as the sole people of color in the cast. So compared to The Force Awakens, Rogue One, and The Last Jedi, Solo is a step backward in terms of diversity, a massive flaw that will always haunt this movie no matter how good it is. Ah, yes. 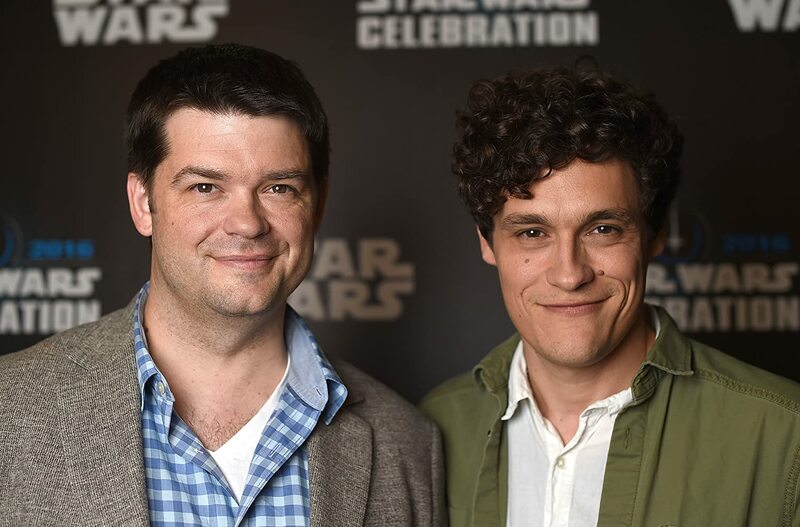 Who could ever forget the shock of learning that Phil Lord and Chris Miller had left the "untitled Han Solo film" when they had already been filming for five months. Though more details wouldn't be revealed until later, this was one of the worst movie trainwrecks in history. Of course, this wasn't all Lucasfilm's fault. And they made an equally impressive turnaround less than 48 hours later when veteran Hollywood director Ron Howard was announced as their replacement for the remaining three and a half weeks of principal photography and five weeks of reshoots. But failing to initially recognize that Lord and Miller were the wrong men for the job, and waiting so long to act on it? That's on Lucasfilm. Yep, those reshoots turned out to be a lot longer than expected. Only when the film finally wrapped production did Howard reveal its title. And it was...kinda basic. Like, definitely not something that required a lot of thought or that had to be kept secret throughout the entire production. 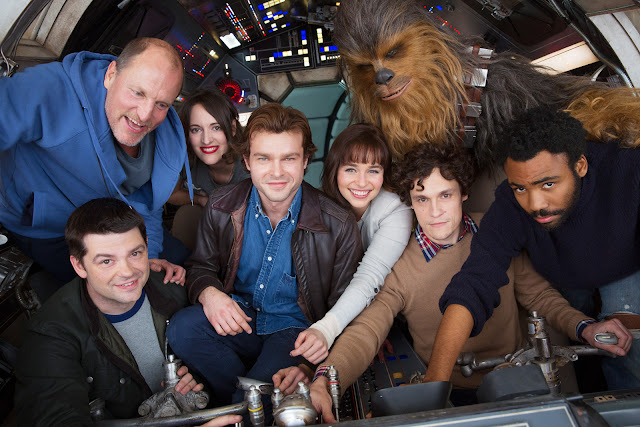 About two weeks after The Last Jedi hit theaters, we got a leaked promotional image of Han, Chewie, Lando, and Qi'ra with the Millennium Falcon. It was met with a mixed reception, and Disney was quick to tell news outlets that it was fake. Except, it really wasn't; it ended up appearing on the official toy packaging for the movie. Maybe they thought they could get away with blatantly lying to everyone? Now, this has more to do with unreasonable fan expectations than an actual misstep in the marketing, but...we had to wait a while for that first trailer. And it wasn't just waiting for the Super Bowl, it was spending a solid month not knowing when the trailer would drop, or – for the more pessimistic fans – if this movie was even happening or not. 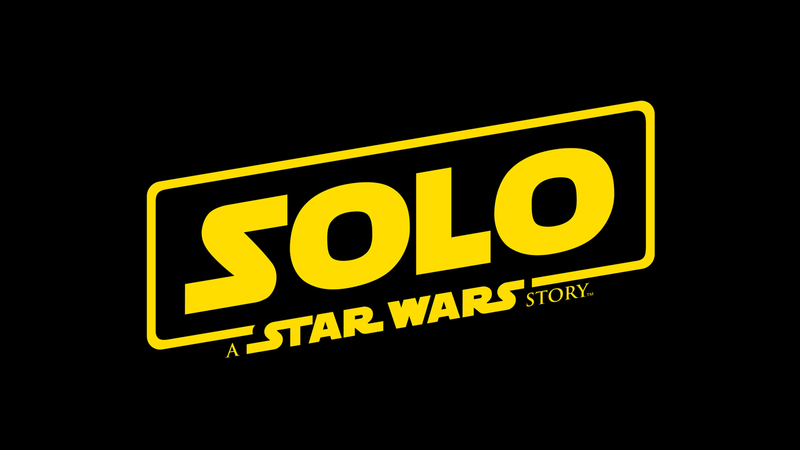 At this point I wouldn’t be surprised to sit in my theater seat for SOLO: A STAR WARS STORY, opening credits, then a lone usher informing us that the movie is not, in fact, happening. SOLO: A STAR WARS STORY comes out in four months. THE NUTCRACKER AND THE FOUR REALMS comes out in nine months. Guess which one has a trailer? Once again, I am sure all is well with Solo: A Star Wars story, seeing as it comes out in just over 3 months and there are no official images or trailer. Theory: there is no Solo movie, there never was. Sure, they eventually came through with lots of Solo content in early February, but would it have been so bad to release an image or two from the film? Or at the very, very least, confirm that promo art was legit, so we'd have some material from the film to dissect? Unveiling the film for the first time at the Super Bowl was bold and unprecedented, and not necessarily in a bad way. But the weird part was that the 45-second TV ad and 90-second trailer, despite being released barely 12 hours apart, weren't that similar at all. The Super Bowl spot focused on Han's entry to the Empire, while the trailer was more about Beckett building a team for a heist. The real shame is that the Super Bowl spot would have made an excellent initial teaser for the movie if it were released several months earlier. But thanks to the prolonged reshoots, The Last Jedi's own promotional campaign (which Solo didn't dare overshadow), and the famously high cost of Super Bowl ads, this awkward TV spot/trailer combo ended up being the marketing kickoff for the film. If this sounds a little fishy on Disney's part, that's because it is. They probably thought they could sweep this under the rug by convincing Bahous (maybe with a monetary incentive) to shut up and not take any public legal action. Well, sorry Disney, but you just made yourself look even more guilty, and I'm not forgetting about it anytime soon. In the past, Star Wars trailers have found great success by ending with more subtle and emotional notes instead of exhilarating ones—"Chewie, we're home," Jyn in the lit hallway, Kylo extending his hand to Rey, etc. 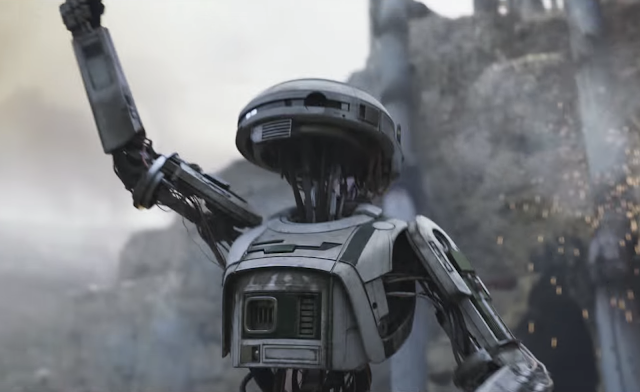 This trailer would have been much better off using this technique again instead of trying to convince us for even a second that Chewbacca could possibly die. 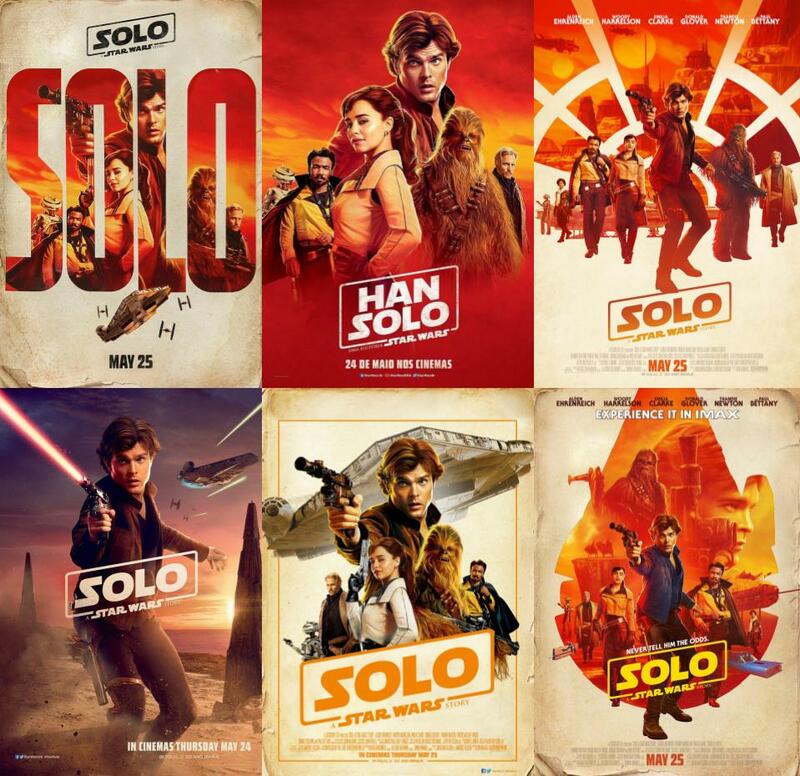 Nope, the poster campaign for Solo was not exactly smooth sailing. 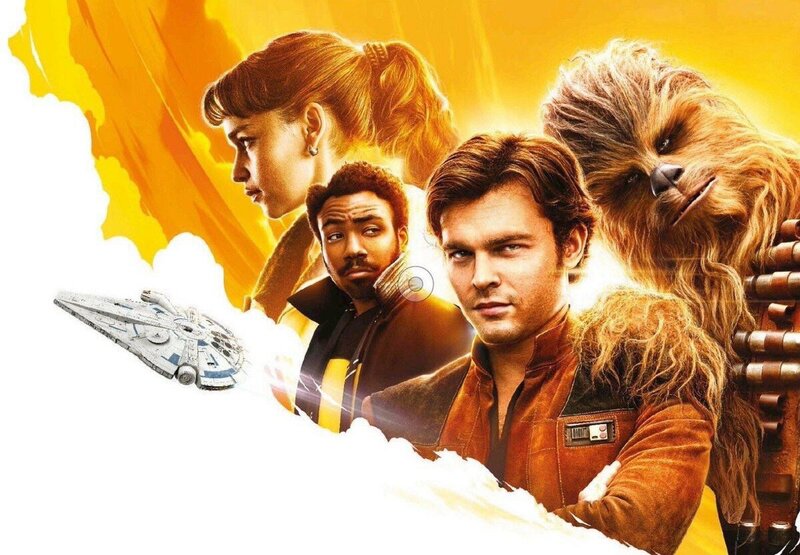 Throughout all of their teaser posters and character posters, Lucasfilm continually reused the same poses of Han, Chewie, Lando, and Qi'ra. And it got annoying. Like, they could only digitally create one unique pose for the main character in the movie? 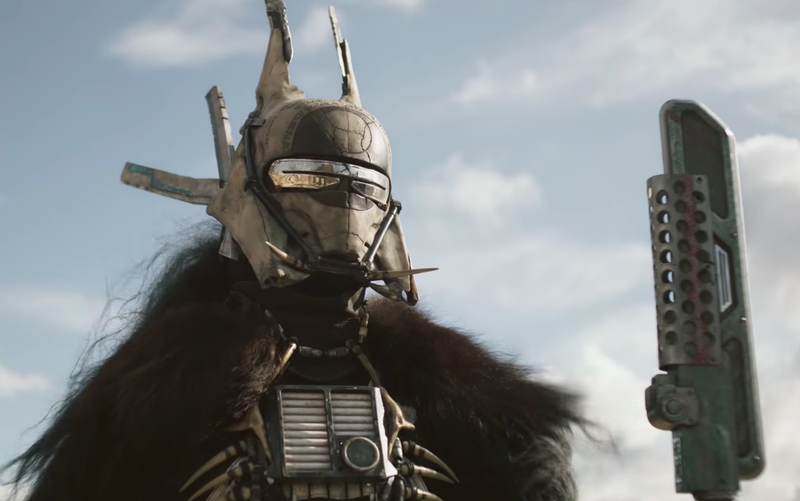 Enfys Nest's gender was unconfirmed but assumed to be male when we first saw them in the Super Bowl spot. But a French trading card used female pronouns with Nest, corroborating Star Wars News Net's report that they were actually female. Then Star Wars Insider indicated that Nest was a male, creating all kinds of confusion about his/her gender. There's nothing wrong with maintaining a level of secrecy about this villain (assuming their identity is indeed a major plot point), but the inconsistency with the information Lucasfilm put in French merchandise and what they told Insider is just sloppy. If Nest is actually supposed to be non-binary (which would be groundbreaking in Star Wars), they should have used "they" pronouns in all the marketing. And if they're just trying to confuse us on purpose, then, well, we have reason to be annoyed. Again with the posters! The official, final batch of US character posters introduced each actor with the name of their character, but Joonas Suotamo received no credit as Chewbacca, despite his prominent role in the film (and his work on The Force Awakens and The Last Jedi, too). Meanwhile, Jon Favreau, who has a much smaller voice role and wasn't even billed at the bottom of the theatrical poster (Suotamo was), got his name on Rio Durant's character poster. There's a lot of complicated legal jargon in here, but the short story is that Lucasfilm is in a legal battle with Ren Ventures over the use of the name "Sabacc," the card game that Han and Lando famously play over control of the Falcon. Ren is suing Lucasfilm for mentioning the word in their marketing (as well as Denny's and Collider for publishing a TV ad involving Sabacc). Lucasfilm fired back a few days ago, asking the court to toss the counterclaims. Is this an actual problem that could have serious legal ramifications for Lucasfilm? No. But it was objectively reckless for them to use the word in the film's promotion when their trademark lawsuit to obtain rights to it (reported in late December) was still pending. No wonder Hasbro decided to just call it "Han Solo Card Game" and leave it at that. Again, none of this means that Solo will be bad. There's certainly a list that could be made of all the great and reassuring moments in the movie's production and promotional campaign, too. And every film has its share of screw-ups like these; Rogue One was also a mess at one point during its production and had huge inconsistencies in its marketing. But hopefully this is the first and last time a Star Wars film will have quite so many. 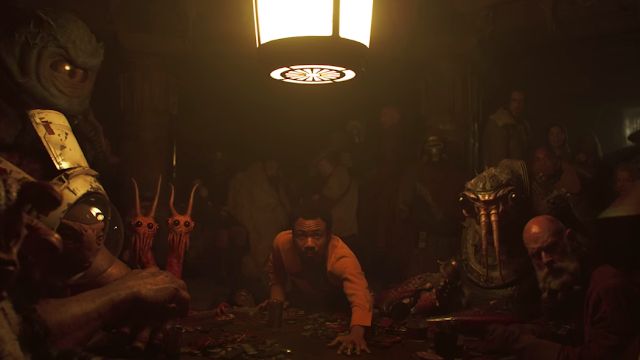 What's your favorite weird moment from Solo's path to theaters? Tell me in the comments or tweet to @sithobserver, and may the Force be with you all.